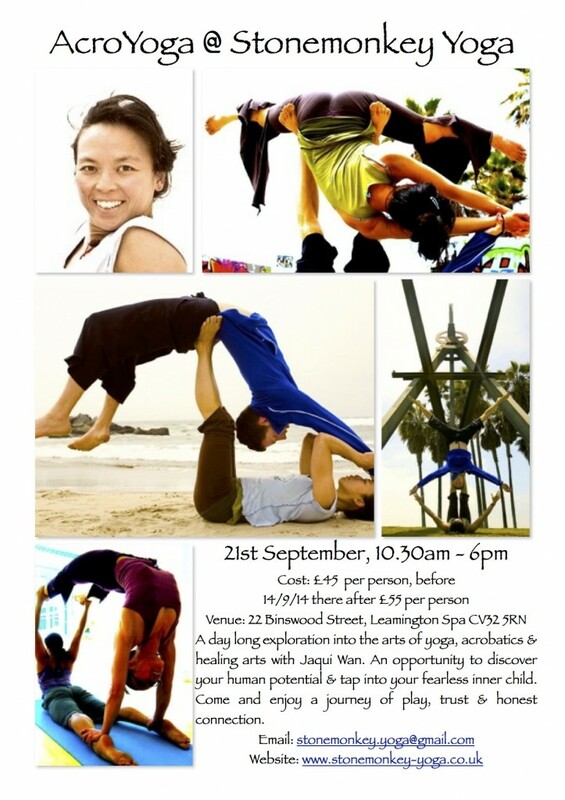 A day to delve in to the solar practice of AcroYoga. We will spend the tapping into your acrobatic bodies, working in groups of three or mor on static balances and L basing transitions and sequences. Be prepared to be challenged and explore your fearless potential all within the environment of support and childlike play. Booking are made directly with the studio. There will be a lunch break of 90 mins. Participants should have a willingness to work in pairs and small groups, a regular physical practice of some kind and a readiness to be upside down.